International Federation of Accountants (IFAC) is the global organization for the accountancy profession dedicated to serving the public interest by strengthening the profession and contributing to the development of strong international economies. IFAC is comprised of over 175 members and associates in 130 countries and jurisdictions, representing approximately 2.84 million accountants in public practice, education, government service, industry, and commerce. IFAC members are professional accountancy organizations recognized by law or general consensus within their countries as substantial national organizations. 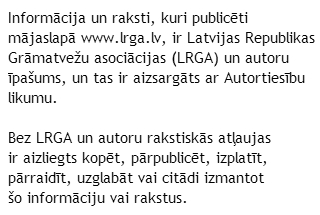 Association of Accountants of the Republic of Latvia (AARL) – associate since November 2013. The International Federation of Accountants was founded on October 7, 1977, in Munich, Germany, at the 11th World Congress of Accountants. Serving as the international spokesperson for the accountancy profession. Beginning with 63 founding members from 51 countries in 1977, IFAC’s membership has grown to now include over 175 members and associates in 130 countries and jurisdictions worldwide. IFAC’s view is that a fundamental way to protect and serve the public interest is to develop, promote, and enforce high-quality, internationally recognized standards for auditing and assurance, education, ethics, and public sector accounting. These standards and related regulation are essential to ensuring the credibility of information upon which investors and other stakeholders depend. IFAC serves the public interest by developing and promoting high-quality, internationally recognized standards for auditing and assurance, education, ethics, and public sector accounting, as well as contributing to credibility of information and issuing issues tools, guidance and resources to support professional accountants in business or employed in small and medium practices. IFAC also promotes convergence to the standards issued by the boards as well as to the International Financial Reporting Standards (IFRSs) set by the International Accounting Standards Board (IASB). In order to ensure that all of the world’s accountants observe honesty and professional competence and support their efforts in providing quality services, IFAC cooperates with its members – the national accountants’ and auditors’ organizations. In addition, the federation is a key global accounting profession stakeholder and examines a wide range of public interest issues. This objective is achieved by means of collaboration with member bodies and working with organizations throughout the world to support the growth and development of the accountancy profession, as well as by issuing valuable tools, guidance, and resources.